Very Cool Cottage Rustic Log Beds for a Rustic Bedroom! Do you wish you had a rustic cabin? Now you can have a ‘rustic bedroom’! A log bed, as you probably guessed, is made of real logs! They are as rustic as they get, and each one is unique, because the logs are all unique! 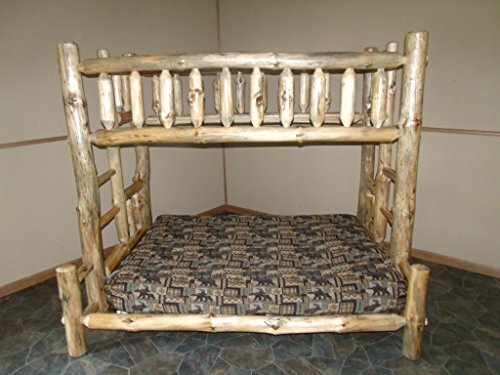 *This is a gorgeous king size solid aspen log bed for sale! Pair it up with a couple of cute and rustic nightstands and rustic table lamps, maybe an animal face wall hanging, a bear rug and you will have your very own ‘rustic cabin’ bedroom! 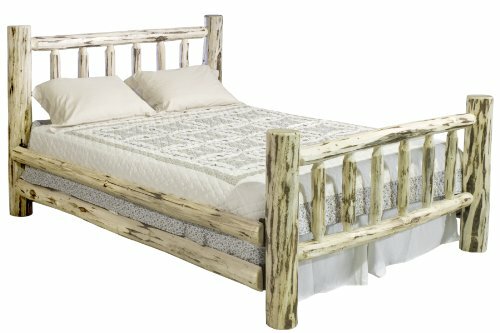 This is a very cool and very unique queen size rustic Northern white cedar logs bed! It is very sturdy and the logs are all hand-peeled! Two people can assemble this bed in a short time! The price is really fair! 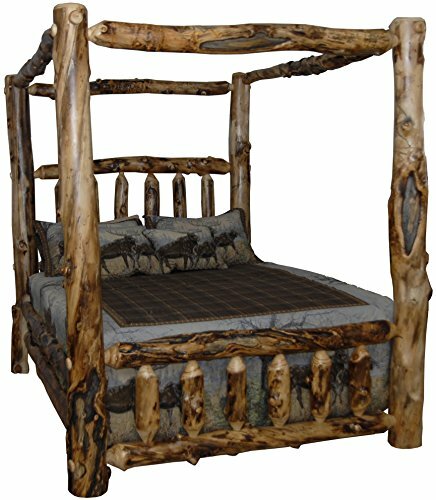 *How about putting a nature wall mural behind the rustic log bed? It really will give you the impression that the bedroom is in the middle of the woods! How impressive is this huge rustic canopy log bed? 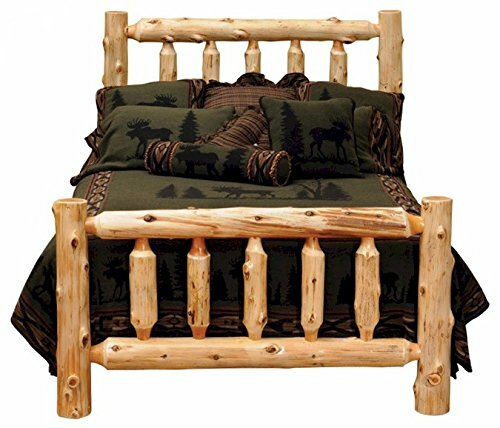 Price wise this log bed is a little bit more expensive than the previous two, but this is a huge bed! Look at the size of those logs! 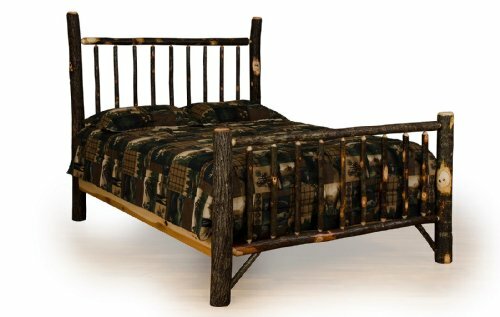 What called my attention right away to this gorgeous full size rustic log bed for sale was the color!! This bed also ships for free in less than 10 days! The price is also very good, about the cost of a laptop computer. I am truly impressed with this bed! Perfect size for a small or medium sized bedroom. It will feel like sleeping on a huge tree in the middle of the woods! 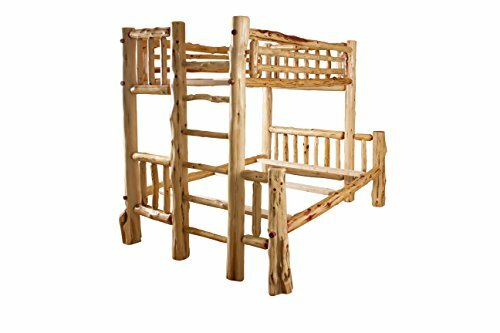 This is a beautiful twin over FULL all rustic red cedar log bunk bed. Very sturdy, very unique and just perfect for any country lodge! This is the kind of bed that will last for many decades. 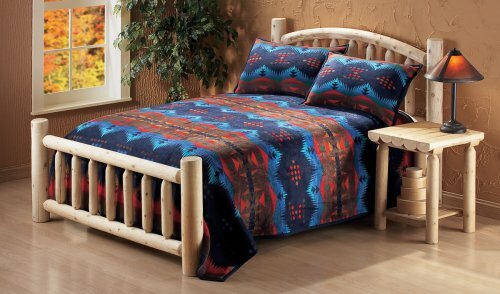 This beautiful and very rustic solid hardwood log bed was Amish made here in the USA! 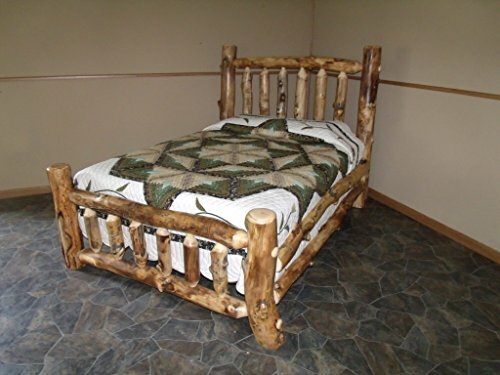 It is definitely a one-of-a-kind rustic log bed made from hickory wood sticks. It has a beautiful natural dark color! And here is another very cute and very rustic log bed made from natural cedar logs!